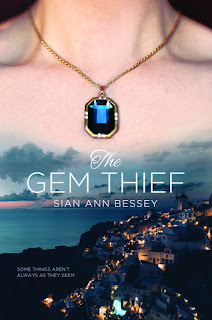 THE GEM THIEF by Sian Ann Bessey. This was a very engaging read. I sat back and enjoyed everything about it. Who wouldn't love a Mediterranean cruise. It was fun to read about an industry I really know nothing about, and to learn about it mixed with suspense, romance, and the location, you can't go wrong. I would recommend this book to anyone who loves to travel with some romantic suspense in the mix. I will be looking into more books by this author.